Rockfalls pose a significant threat to life and property, thus rockfall protection is a major issue in areas exposed to severe rockfall hazard. Rockfall protection approaches include quantitative rockfall hazard and risk assessment, as well as the design of structural countermeasures. These require a sound and robust quantification of 3D rockfall trajectories, distribution and intensity of impacts, and magnitude and variability of involved dynamic quantities. Providing highly reliable modeling inputs to rockfall protection remains a difficult task, because of the complexity and intrinsic stochastic nature of rockfall physics and the uncertainty of all the relevant parameters. However, significant advances in rockfall analysis have been made in the last decade, and modern 3D rockfall modeling techniques now provide effective tools to support rockfall protection activities, even in difficult design conditions. Nevertheless, their use can still be complex and raises a series of difficult steps both in the modeling and the analysis of the results. In this paper, we provide an overview of rockfall analysis aspects relevant to rockfall protection, as well as examples of applications of modern 3D rockfall runout modeling techniques in rockfall hazard and risk assessment, and countermeasure selection, design and optimization. 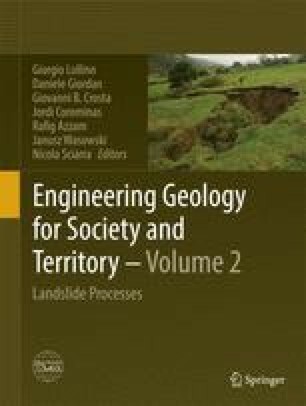 The authors are strongly indebted to Massimo Broccolato, Raffaele Rocco and Davide Bertolo, from Regione Valle d’Aosta Geological Survey, and Andrea Tamburini, IMAGEO srl. The municipalities of Valmadrera and Varenna for making available data for the two case studies. The research has been partially funded by PRIN 2010-2011-2010E89BPY_007 project of MIUR.